guess not many of the owners of high quality audio components even realize that brands that made their devices often actually belong to the same mother-company. Like, for example, Audio Research, Sonus faber, Wadia Digital, Sumiko, McIntosh – they all belong to the Italian holding Fine Sounds Group; Denon, Marantz and Boston Acoustics belong to Japanese D+M Group; and Wharfedale, Quad, Audiolab, Mission, Luxman, Ekco, Leak and Castle to Chinese capital group IAG Group. More and more such business ventures appear on the market and one should expect even more of them in the future. Recently Focal-JMLab bought shares of Naim Audio and the Muse SA, a company dealing with luxury goods, acquired Meridian Audio..
And there is no mystery to this process – audio market gets consolidated just as all others. It didn't happen long ago only because audio market never has been as big as we like to think, and never has generated as much income (despite what most of us think about top-high-end). So this consolidation of the market is an opportunity for these companies – they get access to additional capital and top class management. The goal is to make these brands stronger and, well... to generate profits. It doesn't always work. I've seen such attempts that failed – brands lost their identity and were not profitable enough. Everybody lost. But in general it seems that such consolidation brings positive results as it strengthens not only particular brands but the whole audio industry, too. The reason is quite simple: the industry needs capital that, as we already know, can't really be generated without external help and without it audio industry will never be as successful as other luxury goods industry branches. The case of Combak Corporation is different, though. It might look similar at first – the webpage combak.net clearly states that it is only a “mother company” of a few different brands like: Reimyo, Harmonix, Enacom and Encore! (until recently it was called Bravo!). On the same webpage one would find a lot of leads towards XRCD. The Combak Corporation didn't grow by purchasing new brands, but it's activity was divided between different brands from the beginning. For a long time division was pretty simple: Reimyo was a brand of electronic components, Harmonix offered cables and anti-vibration accessories, Bravo! (now Encore!) manufactured loudspeakers, and Enacom different filters. XRCD – as all audiophiles know are Compact Discs. By the way the XRCD24 logo can be found more and more often on Combak Corporation products – one should know that Mr Kiuchi is a co-owner of XRCD technology, too. But not long ago it all started to change and the division between brands is not that clear anymore. From the moment first products with the word „Million” in their name were released this, previously clear, division collapsed. Have a look at the website with anti-vibration accessories. There is RFS-65m model branded Hyotan, RS-1502M TuningMaster feet with Harmonix logo, and RF-999M Million Maestro with Combak Corporation logo. And now there comes another logo: 聖Hijiri. 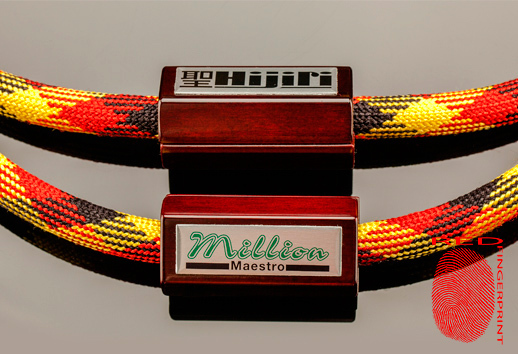 As one can read on company's materials, 聖Hijiri means ‘maestro’ or ‘an important leader’. Mr Kiuchi chose this name for his new interconnect to emphasize that this is a new generation of product, a very important one for its creator. This interconnect belongs to the top line called Million and replaces the previous top models from Harmonix Golden Performance line. Already its look suggests that it belongs to the top line – similarly colored sleeve and wooden elements are a clear resemblance to Harmonix X-DC Studio Master Million Maestro power cord, that we recently reviewed and that proved to be absolutely remarkable. As usually Mr Kiuchi doesn't share information about the design. I asked him once why he offered so few information about his products that were based on certain technologies and solutions and he told me that bragging about technical details was a mistake because all that really mattered was music: „whenever a product does not fulfill its primary role, which is conveying music in the best possible way (at particular price level of course), it doesn't matter at all how much one would know about the design, materials, parameters and so on”. One can agree with such approach or not, but it is a clear statement of Mr Kiuchi's philosophy. 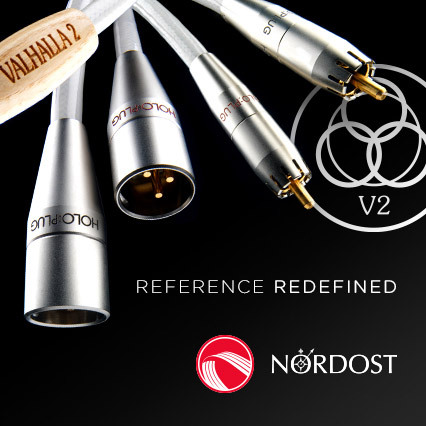 available in two versions: unbalanced (RCA) and balanced (XLR). As one can see at the receiver end there are ground wires terminated with gold-plated spades, that should be connected to devices ground or to some „virtual ground” using devices like Verictum X Bulk, Acoustic Revive RGC-24 or Entreq. I compared 聖Hijiri to Siltech Double Crown and Triple Crown interconnects. How it differs (I mean in construction) from your other cables? Please let me briefly explain about new "Million" signal cable. First, Million is a symbol mark for the best of Harmonix product lines, and the product shall contribute to loyal Harmonix patronage around the world who support us for years. Every "Million" to include Million Signal cables have been embedded the highest technology we have created in combination with the best materials we selected and meticulously handcrafted. What did you want to achieve with them in sound? We have discovered a infinite rule we call it Resonance Control technology. First, I selected materials that meet with this rule. 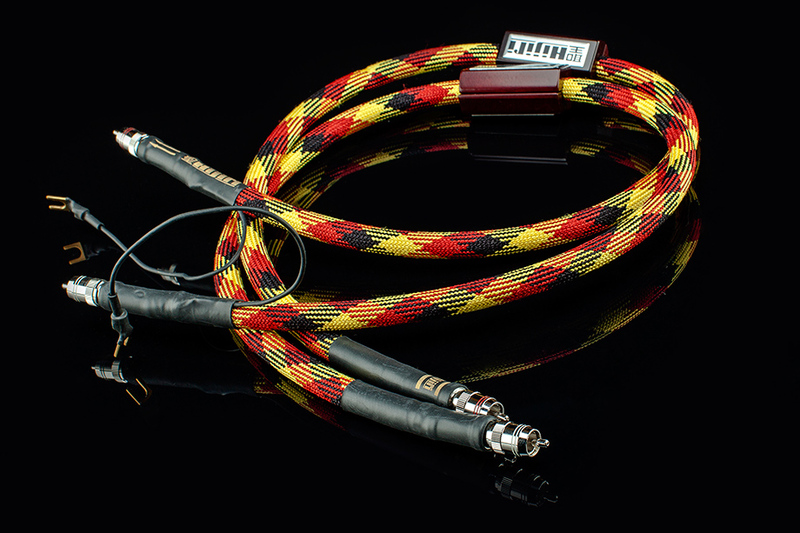 It has been taken years to years to create the quality sounding cables. Then, I conduct listening test before going to final and it is a very important like Art of painting. Are you going to make a Million Speaker cable? At this moment of time, I am not considering to make "Million" Speaker cables. We have already HS-EXQ and HS101-SLC, they are both fantastic speaker cables none came close to them on the market. Did you produce recently some XRCDs? What they were? Yes, I did a quite many number of XRCD and have been producing XRCD since it is a very important job of mine to serve and satisfy serious music lovers around the globe. I am counting on music soft as one of important high-end gear, and without it, any expensive high end sound reproduction systems to include speaker systems can hardly evaluated but most often there is a very limited number of people got aware of this, I am sorry to say. Count Basie, Count Basie Live at the Sands (before Frank), Warner Bros. Records/Mobile Fidelity MOFI UDSACD 2113, “Special Limited Edition No. 0197” SACD/CD (1998/2013). Dexter Gordon, A Swingin’ Affair, Blue Note/Audio Wave AWMXR-0023, XRCD24 (1964/2013). Judy Garland, Over The Rainbow, Going for a Song GFS236, CD (?). Yes, The Yes Album, Atlantic/Warner Music Japan WPCR-15903, “7 inch mini LP”, SACD/CD (1971/2014). Harmonix cables are well known around the audio world for one, due to the sound quality they offer, and secondly because of their creator, Mr Kiuchi. There is no doubt that XRCD technology is widely accepted as one of the key advancements in CD format quality, and the following XRCD2 and XRCD24 only confirmed the value of this solution. Knowing that the JVC Victor studio in Tokyo uses exclusively Harmonix cables is a great recommendation.